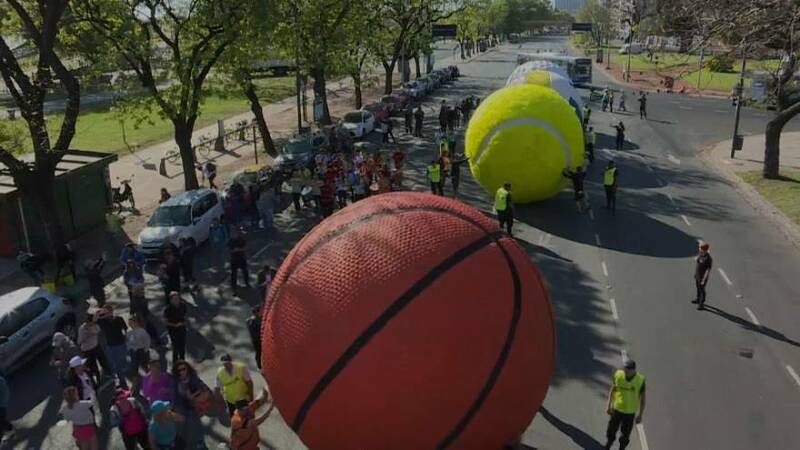 Giant football, basketball, tennis, volleyball and golf balls were rolled into a Buenos Aires park on Sunday. Members of the public pushed the art installation, commissioned by the International Olympic Committee, into place. The IOC chose internationally celebrated conceptual artist Leandro Erlich to create a large-scale, temporary installation to bring to life the Olympic values. The city is hosting the Youth Olympic Games, which started on Saturday and runs until October 18.